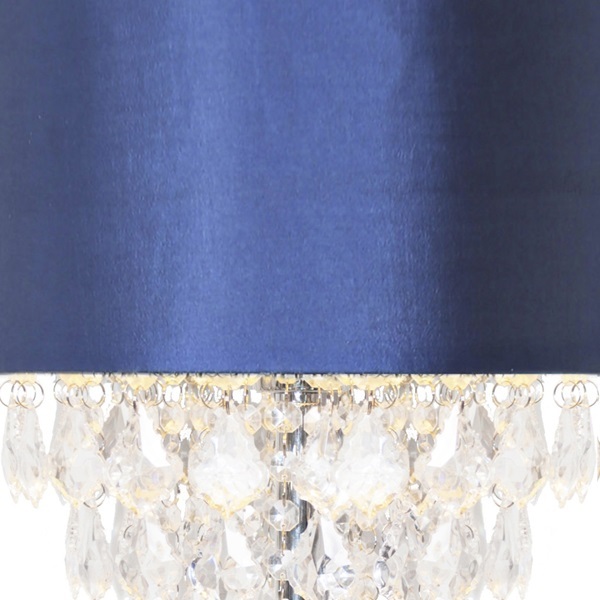 A simple style with classic, elegant details. 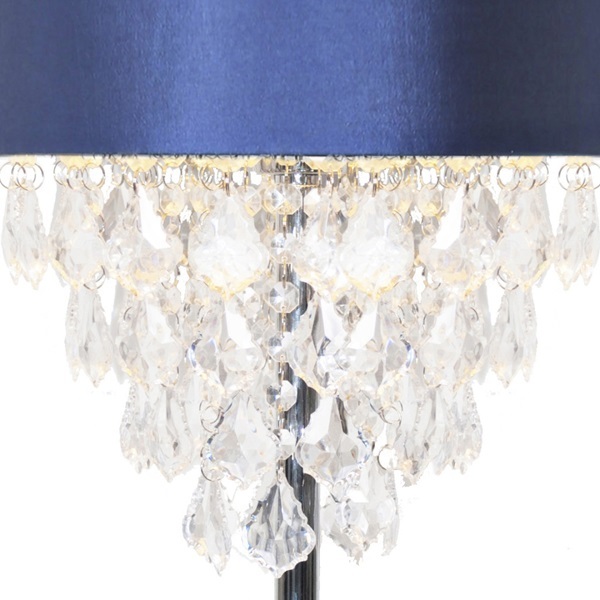 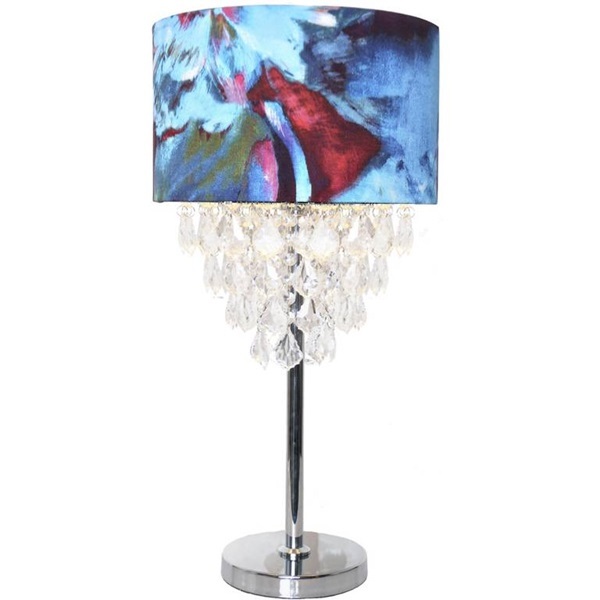 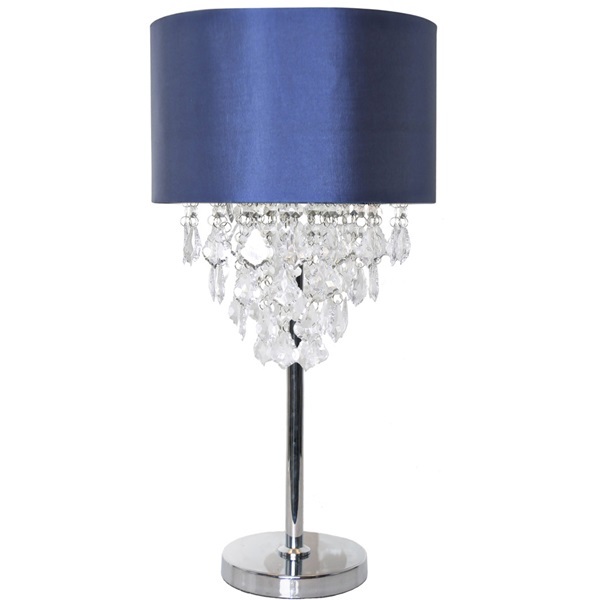 A rich and vibrant satin shade accents the real star of this 25.75"H style - the three tiers of crystals dripping from the bottom of the shade. 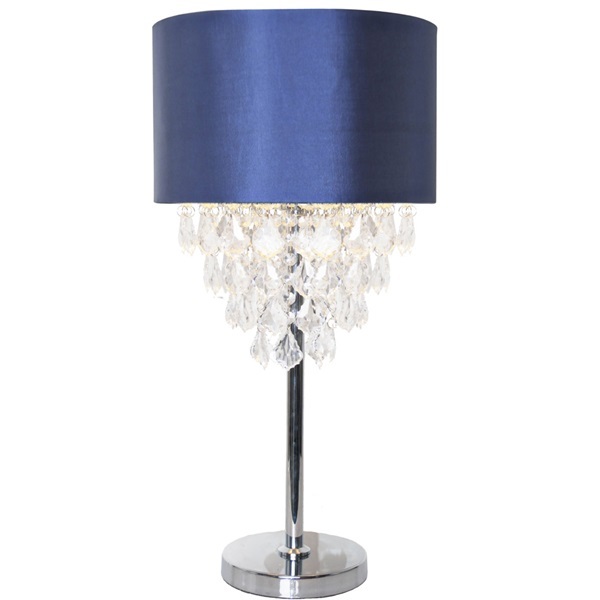 Watch as the light dances off the multiple facets on each of the 55 crystal clear acrylic jewel. 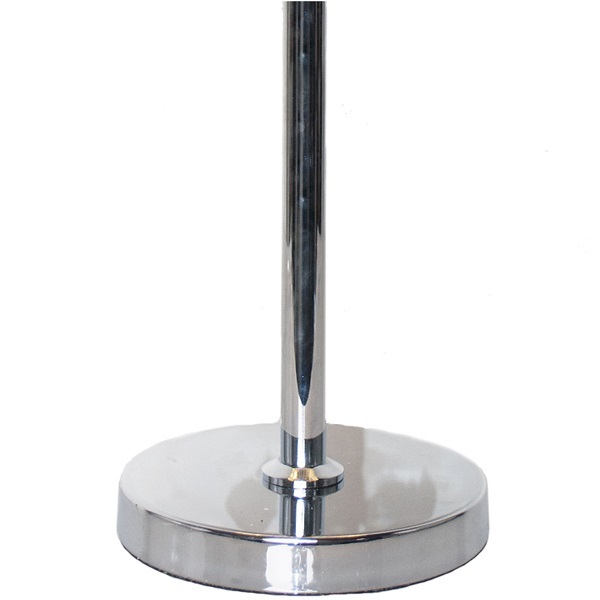 A simple chrome base beautifully reflects the light from the crystals, while complementing the overall style. 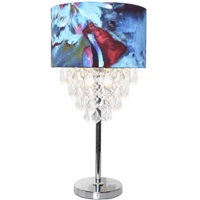 Inspired by rushing waterfalls as they plummet into pools of cerulean water below, this style is the perfect table lamp to add a bit of simple glam to a living room, bedroom, or dining room. 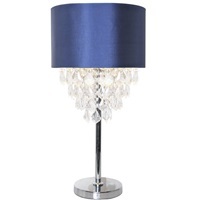 METAL E26, A, 60W NAVY+CHROME+CLEAR	 25.75" 25.75" 13" inline 13"
METAL E26, A, 60W BLUE, RED, AND GREEN 25.75" 25.75" 13" inline 13"